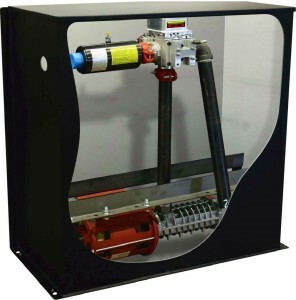 MEI’s Submersible Power Units can be Configured and Ordered Online! Build, save and edit your own quote… ONLINE, ANYTIME! Our Online Configurator allows you to generate quotes and order equipment 24/7 from the convenience of a desktop. Quotes can be saved for later editing or copied to save time pricing a similar project. SS-29 41″ 20- 3/4“ 38″ Single 35 gal. SS-88 51″ 24- 3/4“ 47″ Single 80 gal. SS-88 Tall 51″ 24- 3/4“ 53″ Single 109 gal. ST-109 51″ 34″ 50- 3/8“ Single or Tandem 127 gal. ST-109 Tall 51″ 34″ 56- 3/8“ Single or Tandem 167 gal. ST-200 63″ 34″ 55- 5/8“ Single or Tandem 204 gal. ST-200 Tall 63″ 34″ 61- 5/8“ Single or Tandem 255 gal.